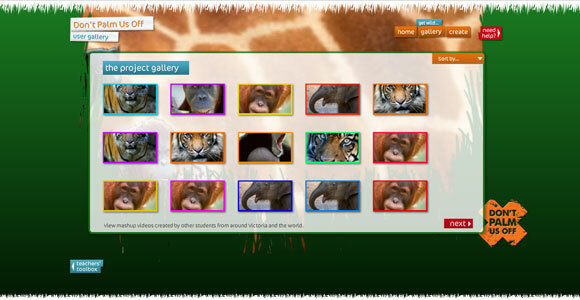 We developed this interactive video mashup builder for Zoos Victoria. Part of the FUSE (Find, Use, Share, Educate) portal that supports kids to explore and solve complex issues facing our society through the use of digital technology. Designed for school aged children to create a conservation based mashup video from a series of resources from the FUSE portal. The site was released in 2010 by the Victorian Education Minister, Hon. Bronwyn Pike MP. Unsustainable palm oil production in SE Asia is pushing orang-utans to extinction through loss of habitat. At the current rate of clearing the Orang-utan could be extinct within ten years. 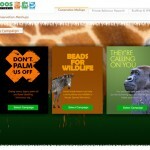 Kids can access a collection of video clips and images and use an online tool to ‘mash up' their own video to support the Zoo's Don't Palm us Off campaign. They can share videos in an online gallery. The site was all built in AS3 using Flash Builder and integrated with a custom build of our content management system (a Flex and PHP-based XMLRPC server). The CMS provided a simple interface for the administrator to preview and approve the submitted mashups. It also included an AIR application build for desktop use, and a standalone version of the mashup player (as used above to show the mashup).